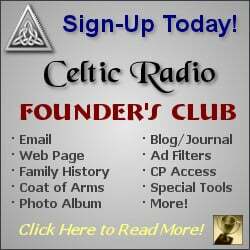 May 8, 2017 - CelticRadio.net - Born in Montana, Lindsay Straw has always been a fan of great ballads and mellow folk-inspired music. Her passion finally started turning into something serious when she enrolled within the ranks of the prestigious Berklee College of Music in Boston. This is where she had the opportunity to meet fellow talented musicians and explore traditional folk music from the most fascinating European and American traditions. Lindsay managed to stay quite busy in Boston, working with fellow students in The Ivy Leaf, a band with a passion of trad folk and Celtic melodies. Her solo work is particularly notable for her mellow vocals, stunning harmonies and intricate musicianship, bringing the songs to life with delicacy, yet energy and verve. 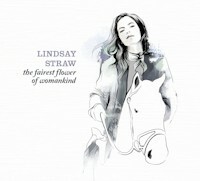 Her recent studio effort, The Fairest Flower of Womankind, Lindsay managed to collect stories, old folktales and ballads with a common thread: portraying strong, positive and inspirational female figures through her interpretations, and by bringing these melodies back to life for a modern audience. 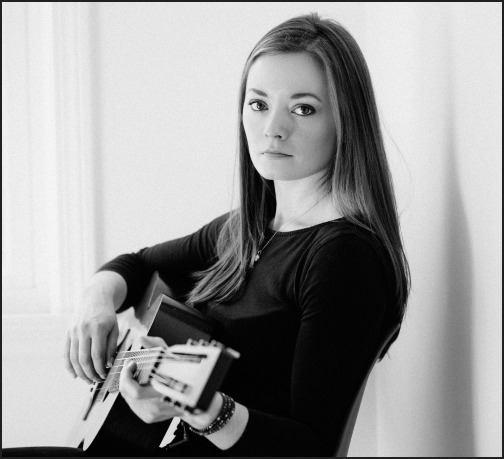 Armed with her guitar and bouzouki, Lindsay collaborates with a host of talented musicians, enriching her performances with stunning layers of accordion, fiddle, concertina and a lot more. While the arrangements remain strongly based on the sheer, heartfelt energy of her bare vocals and instrumental, other musicians truly add an additional dimension to her work, making for a genuine, colorful and tantalizing sound. The production of this release is crisp, tasteful and understated, placing emphasis on the performance value and capturing Lindsays emotional performances, as well as the great chemistry she has managed to developed with her band members and studio collaborators for this particular project. The Fairest Flower of Womankind is actually Lindsays second studio album, following her well-received debut release, My Mind From Love Being Free. It is interesting to see how Lindsay worked on these recordings differently. On her first album, the idea was simply to create a collection of great songs and beautiful melodies. On this second effort, her vision could almost be compared to creating a concept album, since all the songs have been selected and rearranged with a common thread line in mind, namely Lindsays connections with these songs as a woman.